7/10. Section one is a road, 90% flat. Really easy. Section 2 has some more challenging hills. About 300 meters ascent. Appreciation: 10/10. The views are incredible, especially in Section 2. Long Ke beach really, really nice. Transportation: Better go on a Sunday as the other days make transportation harder. 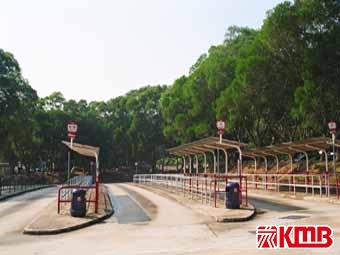 From Diamond Hill MTR station, KMB 96R will take you directly to Tai Mong Tsai Road where you get off at Pak Tam Chung stop. 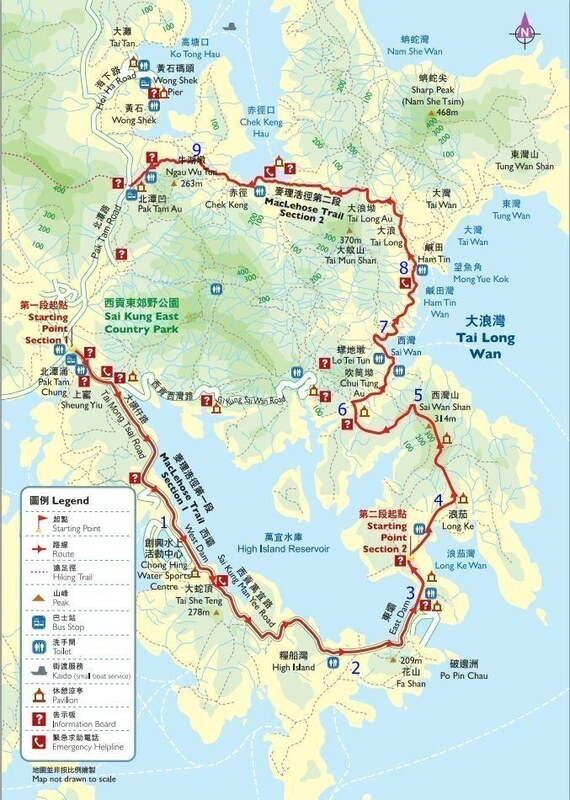 Otherwise, you can take bus 92 to Sai Kung, then 94 to Pak Tam Chung stop. Return is even easier as section 2 ends almost right in front of a 94/96R bus stop. 96R at Diamong Hill MTR station. Very busy on Sunday mornings! Pak Tam Chung stop bus stop. Walk about 100 meters and head right. That's MacLeohose's trail head. Click for larger version. All the spots marked with a number are referenced in the photos that follow. ... and on your left. Right after the principal dam and the pavilion, you'll head left and start climbing. At this point, you have cleared MacLehose Section 1. Go checkout the dam however, worth a few extra steps. After the 300 meters climb, you'll start going downhill and eventually reach the merging point with the trail that most Sunday hikers take coming from Sai Kung (it is much easier). Head right. 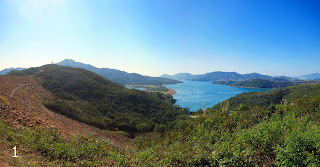 Arriving in Sai Wan village. Food break or keep going. Sai Wan beach. The next bit has no shades so it is a bit painful if you do it in the summer and mid-day. 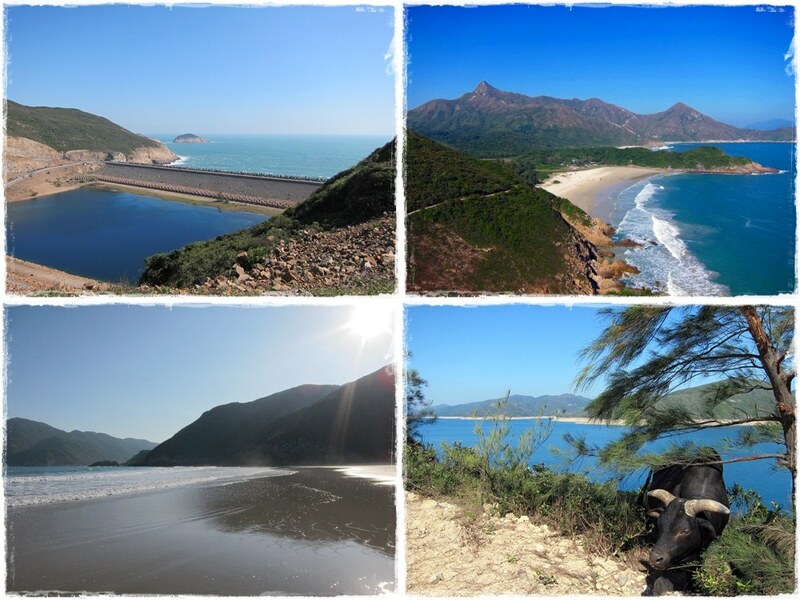 After 30-40 minutes and a few "wow" moments, you will have reached Ham Tin Wan where you can rest a bit, have some food, restock your water supply and enjoy the beach. Once you are done, go right through the store and take a left. After this point, it's all quite obvious; just follow the trail. It is not a steep climb but it keeps going up for about 50 minutes with not much in terms of nice views as rewards for a job well done. At this point, don't go straight, keep on the path. 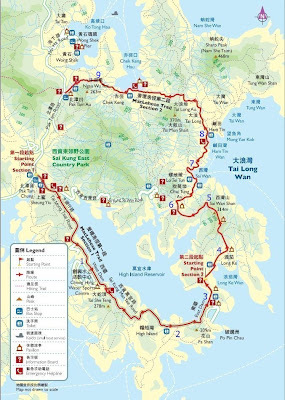 You are about 25 minutes away from Tai Mong Tsai road and the end of Section 2. Once at the road, the bus stop will be on your side of the road and to the left. Congrats on completion of MacLehose Section 1 & 2. Please note that section 3 starts just across the road, should you be tempted to go on.